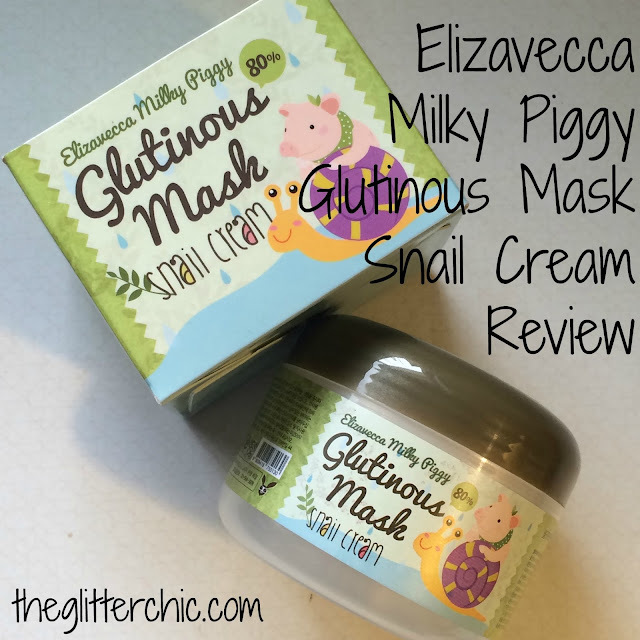 Snail is one of the ingredients that initially drew me into Asian beauty. I had taken a look at a lot of different products, and while people were getting squeemish over the thought of smearing snail slime on their faces, that was the thing that made me realize AB really was going to be a different experience than Western beauty could ever give me. Purpose: The Elizavecca Milky Piggy Glutinous Mask 80% Snail Cream is a whitening and anti-wrinkle cream. 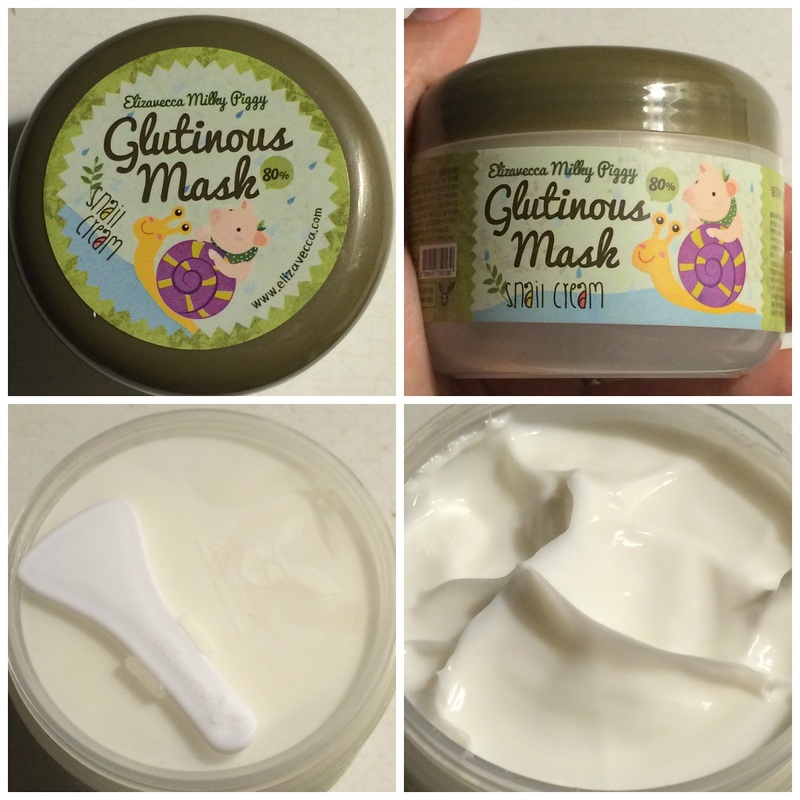 To Use: Can be used as the last step in your skincare routine in either the morning or evening. 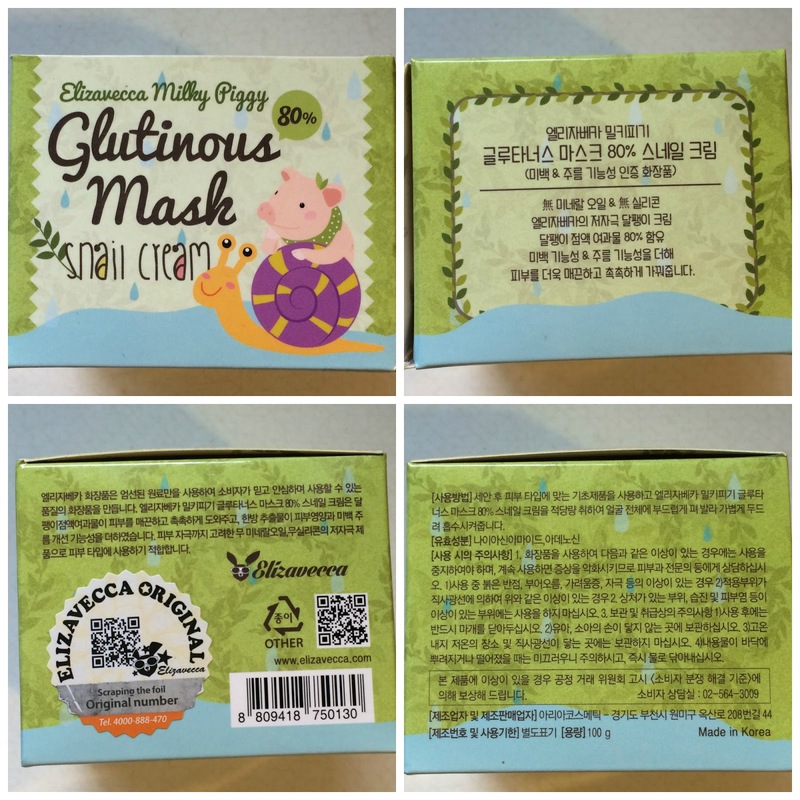 Notable Ingredients: I was unable to find a full list of ingredients for this product, but the major players in this product (noted on the packaging) are niacinamide, adenosine, snail mucus. These three ingredients together work to lighten hyper-pigmentation and discoloration, firm the skin and plump fine lines and wrinkles, and prevent new signs of aging from forming. Packaging: The cream comes inside a cute little box with the Elizavecca piggy riding a snail. The Snail Cream comes in a traditional Elizavecca insulated tub, with an inner lid holding a spatula and an out lid securing the closed tub. Performance: The snail cream is thick and stringy, is opaque white in color, and smells a bit floral. 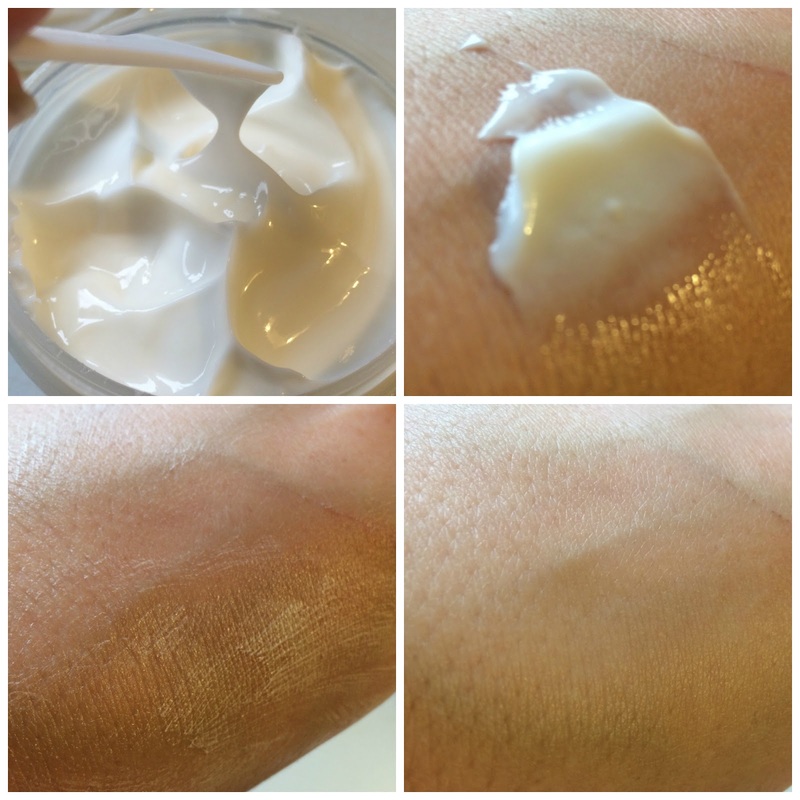 The cream leaves a bit of a film after being rubbed in (see bottom left photo below) but it does fully absorb into the skin after a minute (bottom right photo below). Once absorbed my skin feels soft and smooth, but also hydrated and semi-matte. This is a great cream for either day or night (I personally prefer using it at night, applying it thicker as a sleeping mask), but also as a hand cream (hehe - really, it works great on my cracked hands in this cold weather right now! ).